Ford, GM, and Chrysler had street-legal quarter-mile monsters in the 1960s that may have inspired today's Demon. Drag racing wasn’t just part of American car culture in the ‘60s, it was the culture. 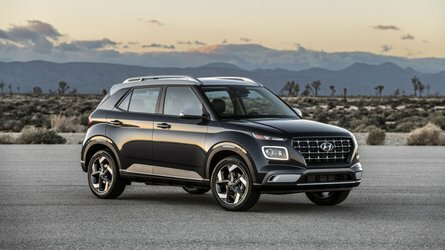 As a result, automakers responded with all kinds of performance options for just about everything that came off the assembly line back then, but there were also a few offerings that are best described as unconventional. We’re speaking of factory-built cars that were street-legal and designed specifically for quarter-mile drag racing – over 50 years before Dodge heralded the Demon as the first such machine. 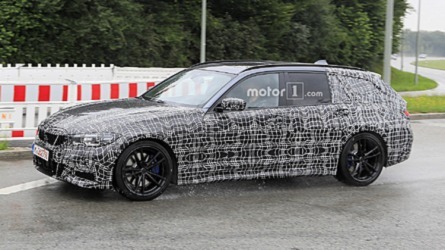 Not only that, some of these cars could well be equal to the Demon’s impressive performance stats. More on that later. 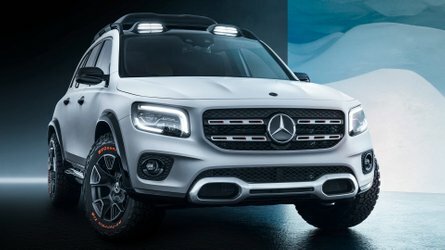 Right now, let’s talk about some of these cars. We’ve chosen three – one from each manufacturer – that completely reset the bar for factory-stock drag racing in the early 1960s and heralded the muscle car era to follow. They weren’t built in nearly the same numbers Dodge will be achieving with the Challenger Demon, but they were street-legal and purpose-built to go very fast in a quarter-mile. 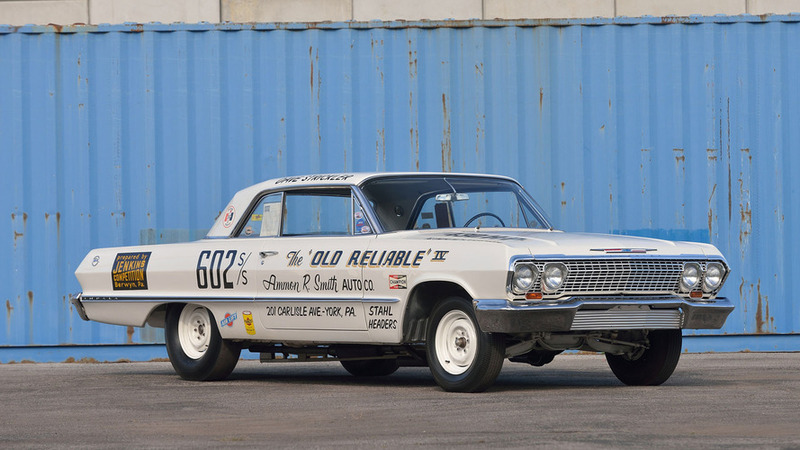 General Motors officially stepped away from all motorsports involvement in 1963, a move which would later contribute to the infamous COPO (Central Office Production Order) cars that were clandestinely ordered. 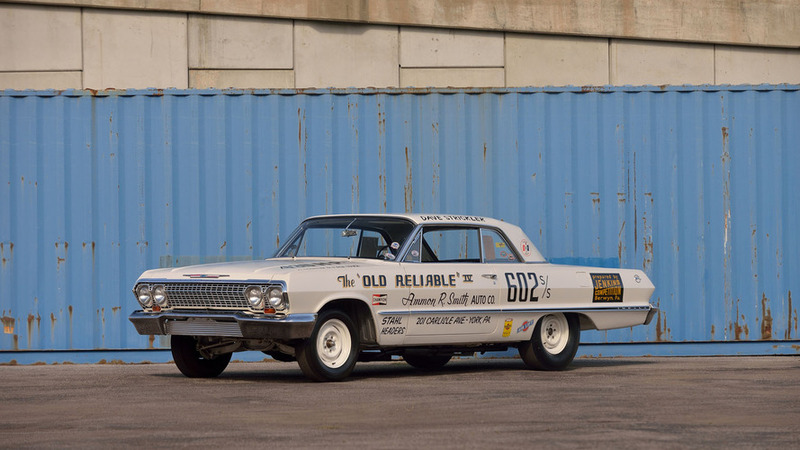 Before that was the 1963 Chevrolet Impala that, when equipped with RPO (Regular Production Option) Z11, added a tweaked 427 V8 that was officially rated at 430 horsepower but is believed to have made upwards of 500 ponies. The package also included a beefed-up four-speed transmission with 4.11 gears in the rear, and it deleted such things as sound deadening, the radio, the heater, and even the front sway bar. To further reduce weight, aluminum replaced steel on many components such as the hood, fenders and bumpers. 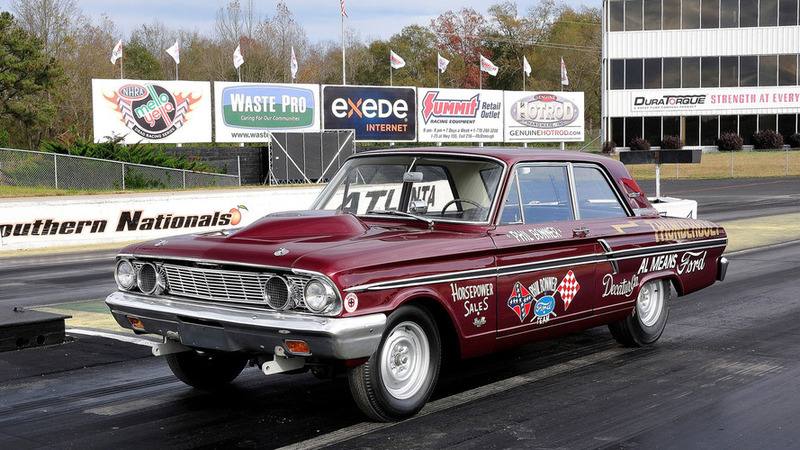 The overall effort cut roughly 300 pounds from the Impala, allowing it to run mid-to-low 11-second quarter mile times. 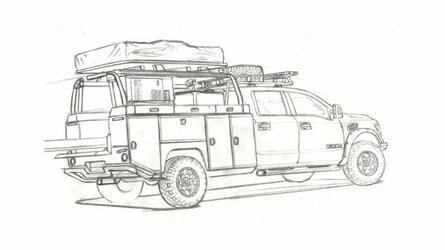 Ford went even more bonkers than GM in the quest for weight reduction, swapping steel for fiberglass on the hood, front fenders, doors, and even the bumpers. Side and rear glass windows were replaced with thin Plexiglas, and of course “useless” features like heaters, sun visors, mirrors, carpeting, sound deadening, and much more were deleted. 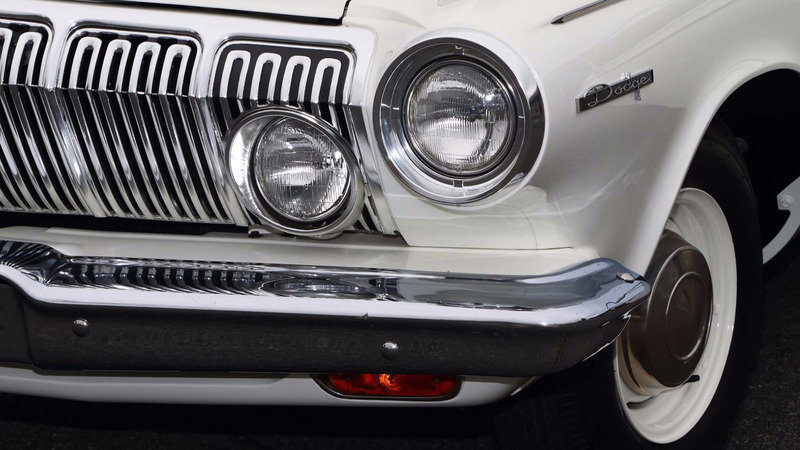 Even the right side windshield wiper was removed in the making of the Fairlane Thunderbolt, and the build was so sketchy that Ford included a special tag in the glove box of each car that basically said it was a purpose-built “competitive car” that didn’t meet Ford’s normal standards for fit and finish. 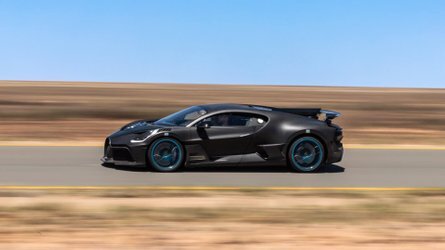 The result, however, was a 3,200-pound car festooned with a 427 cubic-inch V8 conservatively rated at 425 horsepower. It also had heavy-duty traction bars and leaf springs designed to help get the power down, with serious final-drive ratios of either 4.44 for cars with automatic transmissions or 4.58 on manuals. It was enough to make the Thunderbolt an 11-second car right off the showroom floor. Everyone in the know on vintage drag racing knows about Ramchargers – the group of Chrysler engineers who started tinkering with cars after hours. Their efforts led to the manufacturer offering up various performance options throughout the ‘60s, but just like GM, it also led to a limited number of decidedly purpose-built drag racing machines. The Max Wedge Lightweight could be ordered through Dodge with an aluminum front end similar to the Impala Z11. It was also stripped of options, had the battery relocated to the trunk, and came with a much shorter final drive for better quarter-mile acceleration. Under the hood was a 426 cubic-inch V8, but it wasn’t a Hemi. The Max Wedge was a Hemi forerunner, rated at either 415 or 425 horsepower depending on compression ratio ordered. It was enough to send the 3,300-pound 330 into the 11-second range at the track. Not only that, some of these cars could well be equal to the Demon’s impressive performance stats. Of course, these 11-second quarter-mile times are still far behind the Challenger Demon’s claimed 9.65 mark. This is true, but it's believed such times were established on skinny bias-ply street tires of the day. There are all kinds of stories online of these cars pulling 10-second and even 9-second quarter mile passes when equipped with modern rubber, but drag racers are nothing if not masters of disinformation. And even if a simple tire swap makes such a difference, tire technology has come a long way in 50 years so it wouldn't be what you'd call an apples-to-apples comparison. Never the less, the stories persist. There are a few examples of these vintage racers still running, but with production numbers generally less than 100 for each model, most survivors have become high-dollar collectibles. 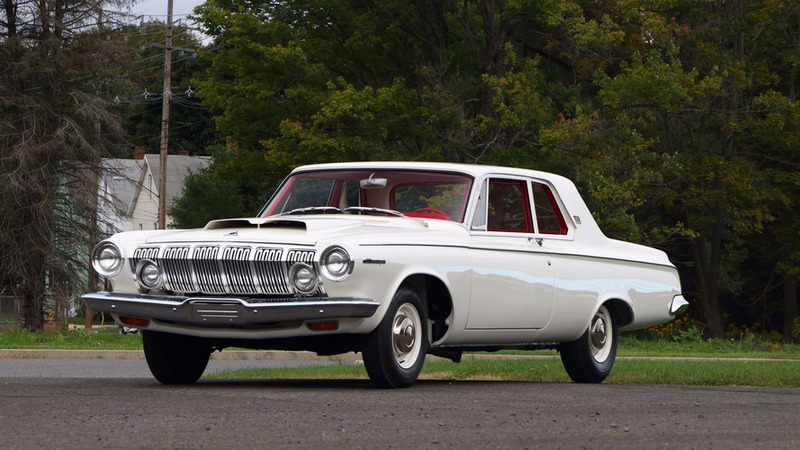 The 1963 Dodge Max Wedge pictured above (and in the gallery below) sold through Mecum Auctions this past January for $70,000, though it's not uncommon to see these cars break $100,000. The Thunderbolt can easily fetch $150,000, and the Z11 Impalas often grab $250,000 or more. Typical rules don't apply if a car has prominent racing history – "Old Reliable IV" featured in this article was also up for auction with Mecum last January, and it sold for $525,000. There are certainly all kinds of ifs to consider in the world of racing, but one thing is clear. With Ford’s track-only Cobra Jet Mustang and Chevrolet’s track-only COPO Camaro now joined by Dodge’s street-legal (but ironically not track-legal) Challenger SRT Demon, America’s three-way battle at the strip has been officially rejoined. Ford Fairlane Thunderbolt gallery photos courtesy of PMDrive1061 via Wikimedia Commons.